One of the world’s largest suppliers of technologically advanced aerospace and defence products, has recently taken delivery of a Wilmat ‘Compact’ Fully Powered Counterbalanced Floor Crane for loading fixtures into machines, which are too heavy for one person to lift. 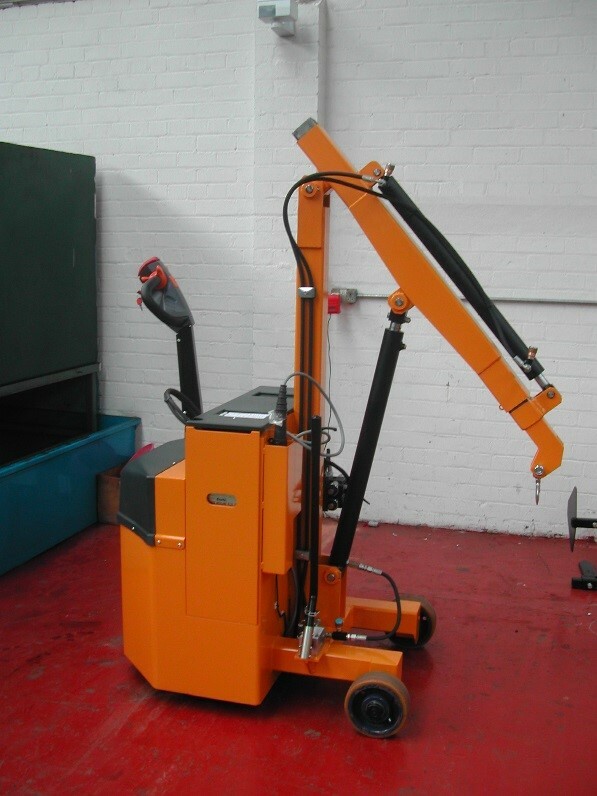 The crane is powered forward/reverse/lift/lower and is also fitted with a hydraulically powered jib. The unit has a capacity of 150kg and a reach of 1318mm. 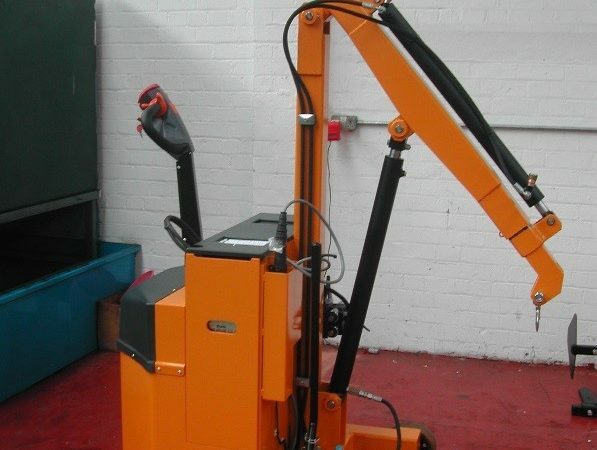 Additionally, the unit has a pendant control allowing the operator to stand at the front of the machine whilst operating the lift/lower, extend and retract functions. The unit has a shortened chassis of only 1050mm!